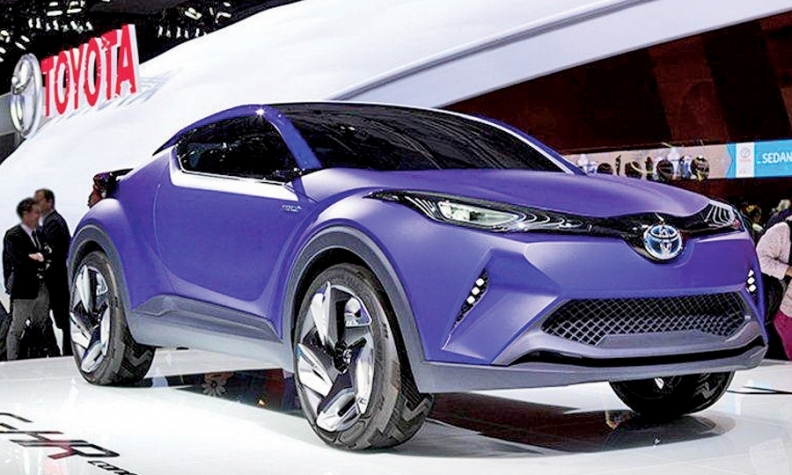 If Scion adds a third new vehicle, a four-door version of Toyota's C-HR concept shown last fall at the Paris auto show is a candidate. Scion is gearing up for a rebound with two new vehicles, the iA sedan and iM hatchback, both shown last month at the New York auto show. But sources say a third new vehicle on Scion's docket is scheduled to be announced this fall, possibly in November at the Los Angeles Auto Show. Indications are that the next new Scion will be some form of compact utility vehicle, either a small crossover to take on the Honda HR-V or perhaps a funky SUV-like hatchback to compete with the Nissan Juke. Scion officials aren't commenting, but one candidate is a four-door version of the C-HR concept shown last fall at the Paris auto show. Scion sales through April are down 18 percent to 16,287.